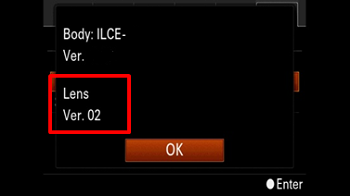 The camera will be able to focus continuously on a subject during continuous shooting at speed of up to 10 fps in [Continuous Shooting: Hi] or [Continuous Shooting: Mid] mode when the adapter is attached with the ILCE-9. 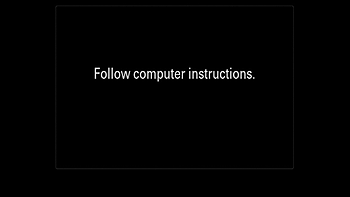 For more details, please visit the following page. 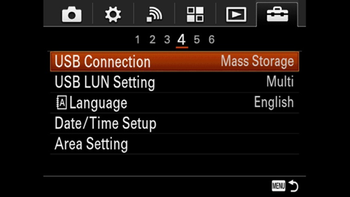 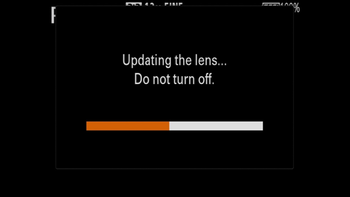 *You cannot perform the lens system software update using another camera. 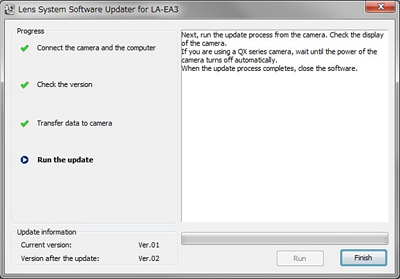 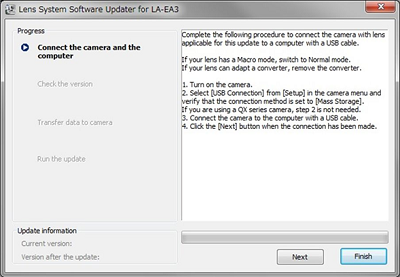 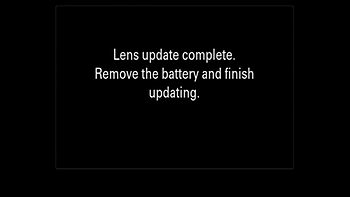 Please make sure that you attach the lens to the camera before performing the lens system software update. 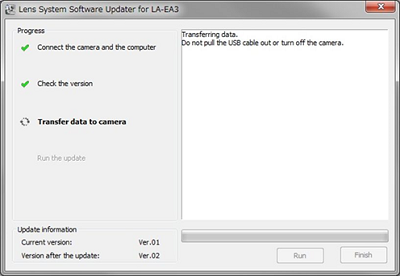 *Before you attach the LA-EA3 to the camera, please make sure that you turn off the camera. 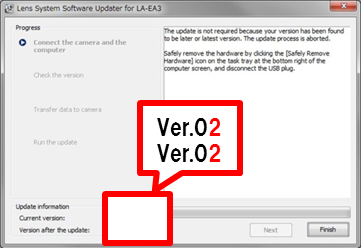 The download of the [Update_LAEA3V200.exe] file will start. 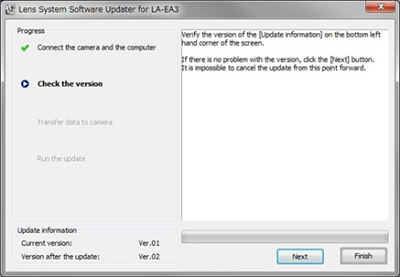 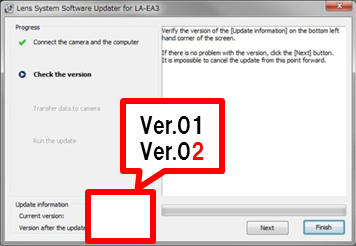 Double-click the [Update_LAEA3V200.exe] file you downloaded to start up the lens system software updater.